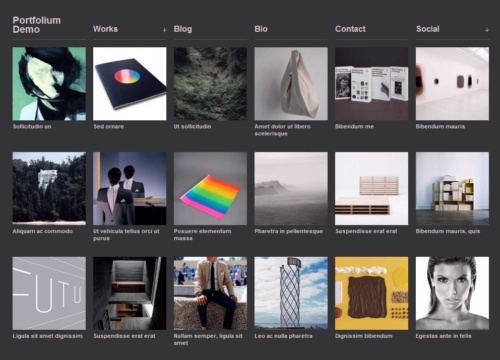 Portfolium is a clean and flexible WordPress grid-based portfolio theme designed in a modern & minimalist style. Portfolium is ideal for designers, artists, photographers, and other creative specialists who require a professional portfolio theme. You don’t need to showcase your works? Just choose blog page and apply this theme to your site. It is really easy to use and won’t take you much time to figure it out. Portfolium theme is coded in valid CSS and HTML and compatible with all modern browsers. It supports all WordPress 3.0 features and gives you extra flexibility.